The holiday decorations in my neighborhood have been hung. They remind me of the fussy versions from my childhood, but are cleaner and simpler in design. I hope they aren’t predictors of lots of snow this winter. Cause I would like them a whole lot less. 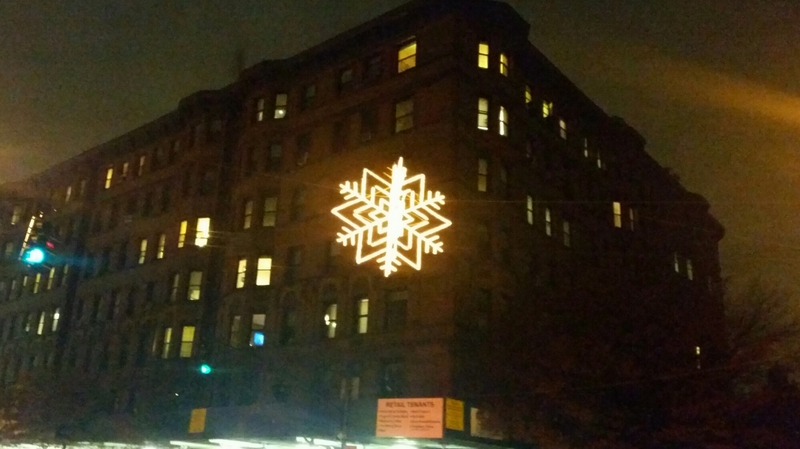 This entry was posted in Christmas, decor, Design, Holiday, Humor, New York City and tagged Christmas, decorations, fussy, New York City, simple, snow, Upper West Side. Bookmark the permalink.